Peripheral maker Logitech may have a solution in the works for one of the PSPgo's primary disadvantages: it doesn't play UMDs. According to a CVG source, Logitech may be developing a UMD drive that attaches to the PSPgo. The device should plug into the PSPgo and will likely attach to it somehow similar to the PSPregular's hard drive peripherals. 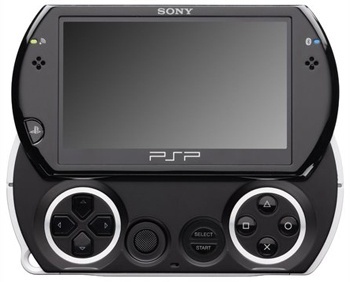 As the source says: "The only problem is that it'll make the PSP a little bulky." A small price to pay for being able to play the entire UMD library of games and movies. The issue I see is: will Logitech actually be able to sell enough to make a profit? The PSPgo isn't exactly flying off shelves, and only a percentage of purchasers would likely support an external UMD drive. Plus, it's adding more cost onto a $250 dollar system, as I assume it'd have to cost around $50 or so. Official pricing and release date were not announced though, with the device still only in the realm of possibility. CVG contacted Logitech UK to ask about the peripheral and were told: "We're not aware of it, so it may be something the US office is working on." A PSPgo UMD drive is a great idea, but primarily for when the PSPgo is discounted to a more realistic price.